Steep climb to the wow! It’s easy to take for granted the archaeology in the landscapes we work in, those special sites we can visit when ever we need to replenish our souls. 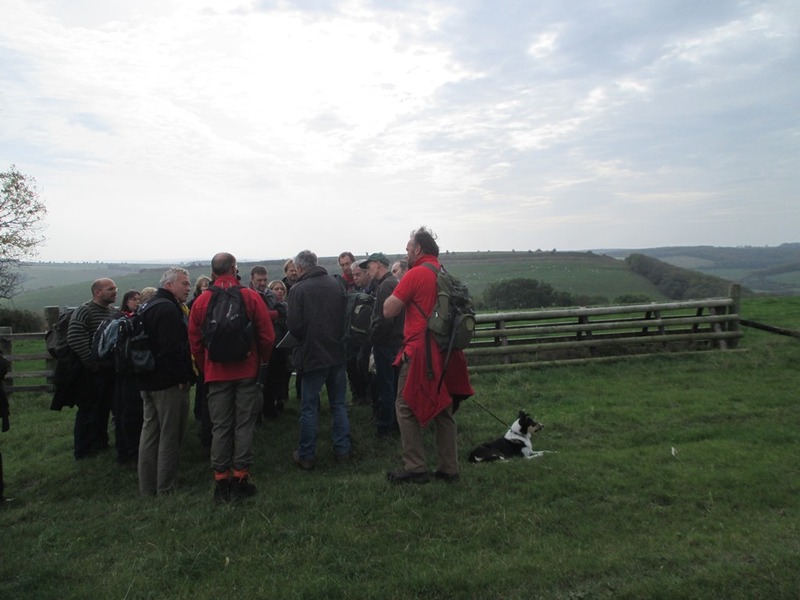 All the archaeologists in the National Trust are spread across all the different places and landscapes in the Trusts holdings, each with a range of sites and wow’s. We try to all meet up a few times a year to discuss common issues and share new discoveries and ways of working. 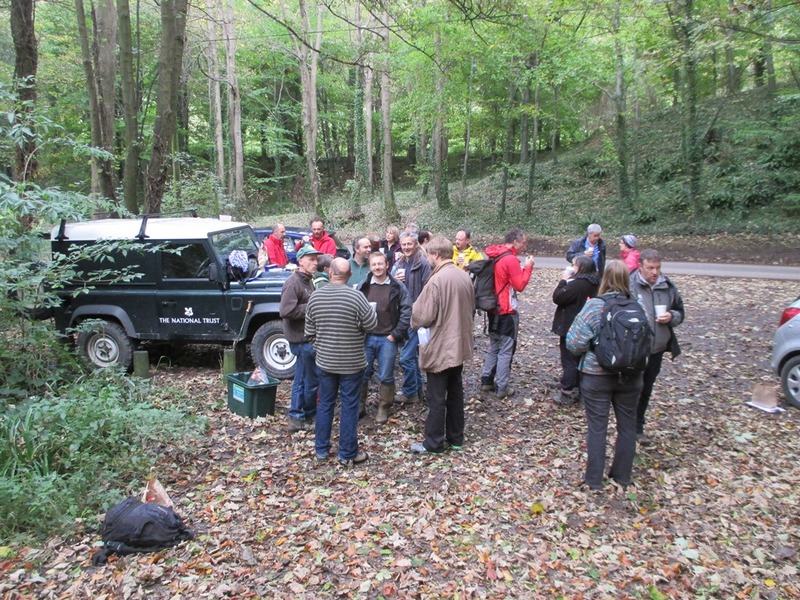 The last gathering was down in Dorset here in the south-west, and we managed to do a whole day in the field, working on site management issues. The ‘fields’ we choose were the adjacent hill forts of Hambledon and Hod. Two of the 7 and a half hill forts we look after in Dorset. The climb up and down and up and down again was helped by a stop mid way for tea and biscuits provided by the Rangers who manage the sites and had joined us for the day. 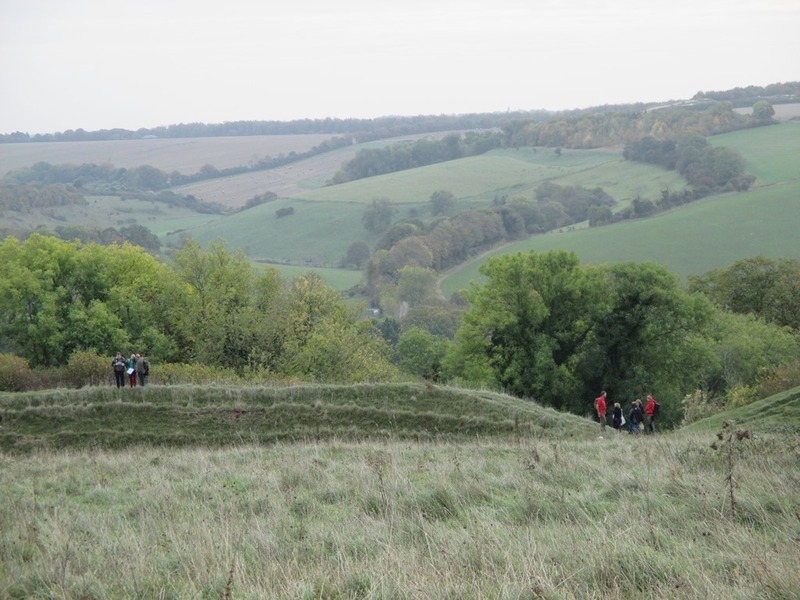 As we reached the top of Hod Hill we got our first glimpse of the size of the ramparts and scale of the area inside them. Hod Hill even has room for a Roman fort in one corner! 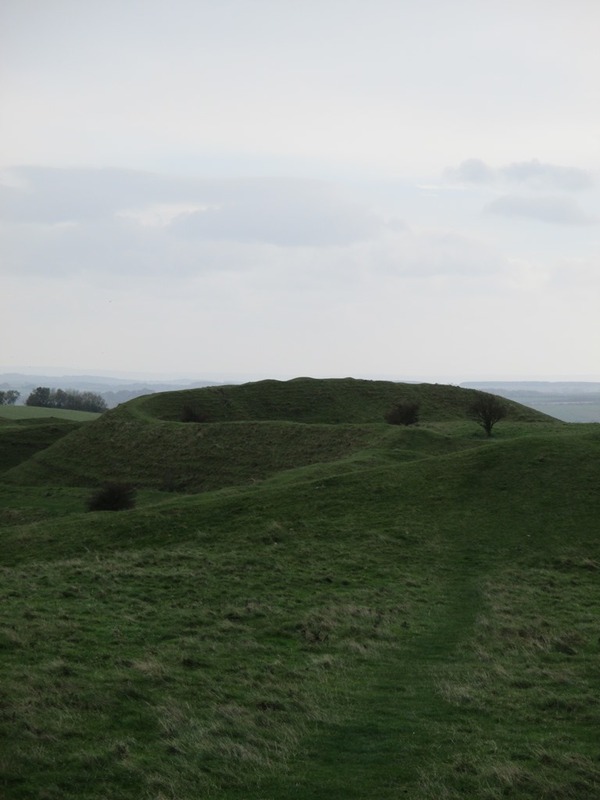 With colleagues from areas of the country that don’t have many hill forts or any at all, commenting on how lucky we were in Dorset to have such magnificent monuments in our landscapes, I saw these sites with fresh eyes. On the next sunny winters day do it, make the climb to the wow. Once on top of these hill forts you feel like a giant and you can touch the sky. Yesterday, we walked along the rampart and I asked the group to stop at the gate and look back and imagine. Beyond Stourpaine, the Dorset landscape faded towards the coast and Poole Harbour. This is where they had landed and below us the soldiers were arranged into companies ready for attack. The scouts on the hill top, spotted the target and signaled its range and distance to the artillery and then.. it started, awful twangs and whirrings as an avalanche of ballista fell on the chief’s house and compound. At least, this was Sir Ian Richmond’s story when he excavated the compound in 1956. How else to explain the Roman ballista bolts embedded in the walls and floors of the two round houses there, all angled and pointed in the same direction. There are no cemeteries or massacre deposits of the war-dead here, unlike Maiden Castle or South Cadbury. Perhaps dismayed by the initial onslaught, they opened the gates and let them in. The round houses were abandoned, piles of sling stones and spear heads were found, left in the cupboards by the front doors. Perhaps the conquerors told them to go at once and leave all weapons. 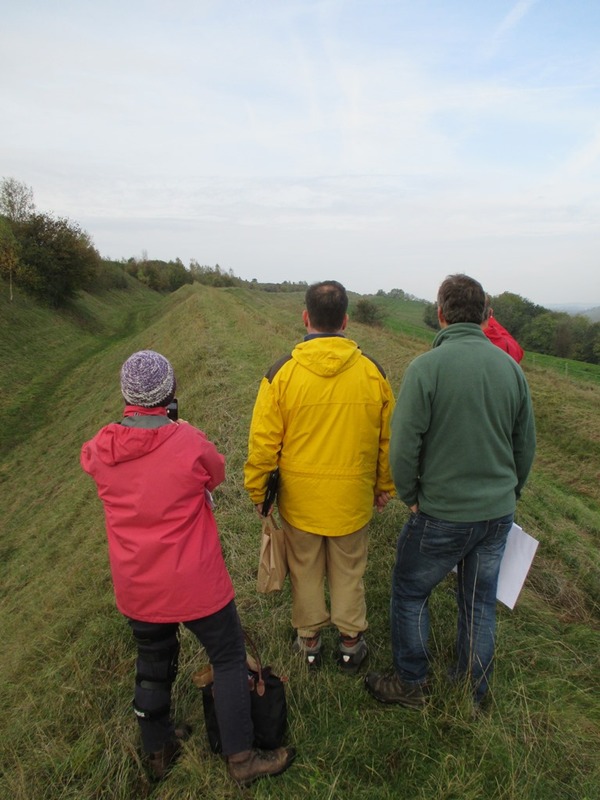 We walked on along the north rampart and came to the point where Iron Age hillfort defences are severed by the straight lines of the Roman fort. Built in the highest place, with 360 degree views, to the best military design. The ditches laid out to lure attackers into a killing zone. Within javalin range. Easy to enter, difficult to leave. A bank and ditch across the entrance to prevent direct assault and then the narrowing of the causeway to the gate. Part of David Stewart’s geophysical survey of Hod Hill. Iron Age entrance bottom right. Roman fort edge top right. Note the trackways radiating out from the entrance between the dense concentration of round houses. The numerous black blobs are storage pits. The small groups of four blobs between the tracks are probably post-holes for granaries raised on stilts. Inside rows of timber barrack blocks in centuries, 500 men and then the larger long buildings cavalry units, another 300 mounted troops. The HQ building and hospital either side of the main road and across the way the houses for the commanders. The equestrian commander, of senior rank, had the bigger house (bit of friction there perhaps, Agricola mentions that infantry and cavalry often didn’t get on). Here they were, 2000 years ago, in hostile territory. The nearest base about 10 miles away to the south. Bit like the wild west perhaps. Patrols, messages conveyed, supply trains attacked by the wild rebel elements.. perhaps. Who knows? The history is lost to us but from Vindolanda on Hadrian’s wall, we have rare letters that survive and from these we can imagine what it was like. Where did these soldiers come from? A walk along Hadrian’s Wall is like a walk through the Empire. Each fort had a garrison from a different place but they carved the names of their cohorts on memorial stones. Perhaps from Spain or Syria, Tuscany or Gaul. 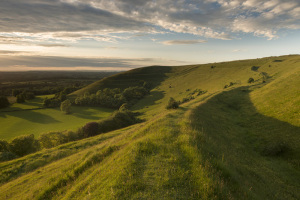 Hod hill is a great place to imagine, particularly in the Spring, particularly when the cowslips are out and the orchids are beginning to bloom.